Theming element definition for all clients across multiple product industries. 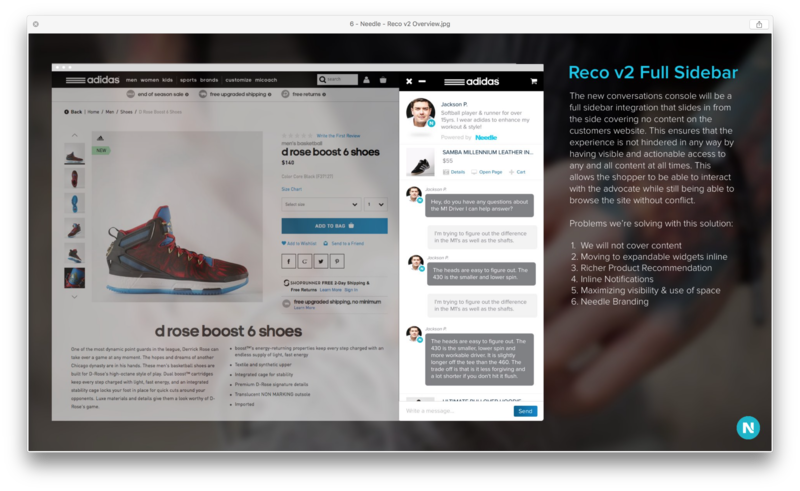 Real-time, peer-to-peer shopping assistance from a product expert provides a trusted, personalized and efficient shopping experience. 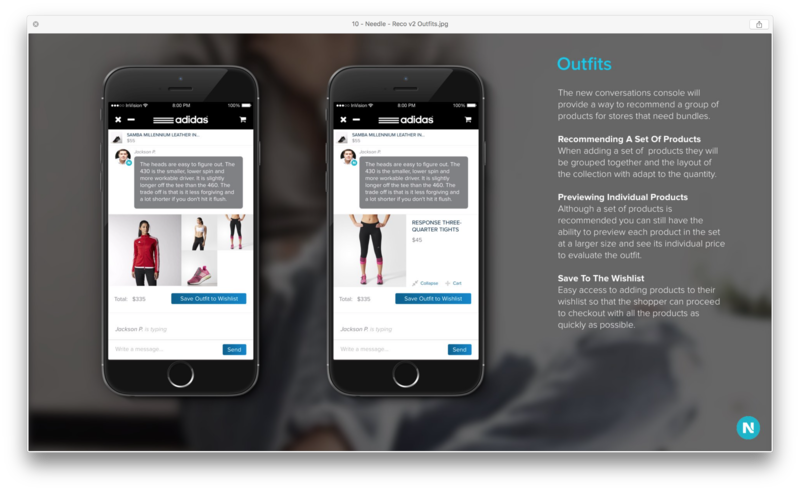 We identify shoppers who need help, and match them with advocates who love the brand and use the products in a rich real-time messaging platform. Currently we have two versions of our product being using by various products. There is debate internally and externally among clients that certain features are more useful/helpful for shoppers as well as Advocates. Determine which features are most beneficial from each version and consolidate them into a version that combines them all in a better product. To get to some qualitative data around what was most useful for users I ran usability tests on both versions of our current chat tools. These were the findings. Can we sove the problems the first two versions still had? 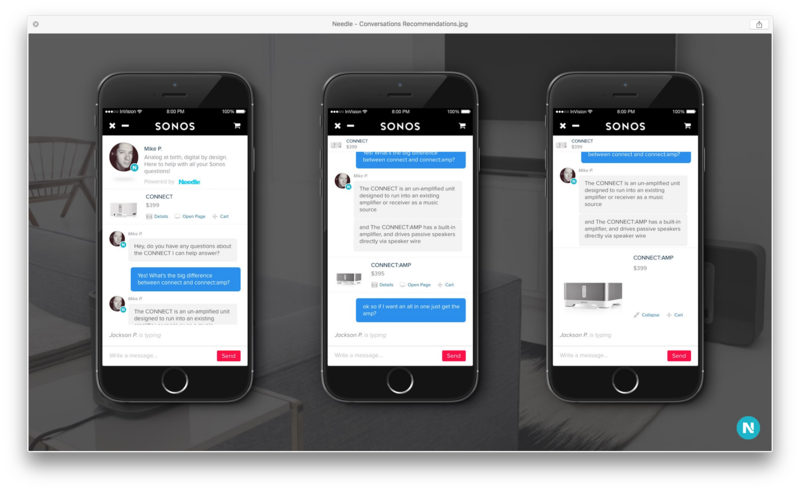 The new conversations console was a full sidebar integration that slide in from the side covering no content on the customers website. This ensures that the experience was not hindered in any way by having visible and actionable access to any and all content at all times. 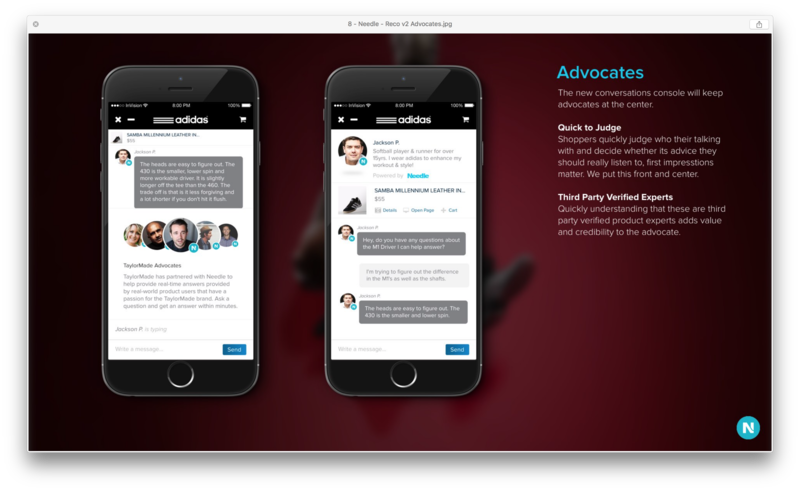 That allowed the shopper to be able to interact with the advocate while still being able to browse the site withouts conflict. 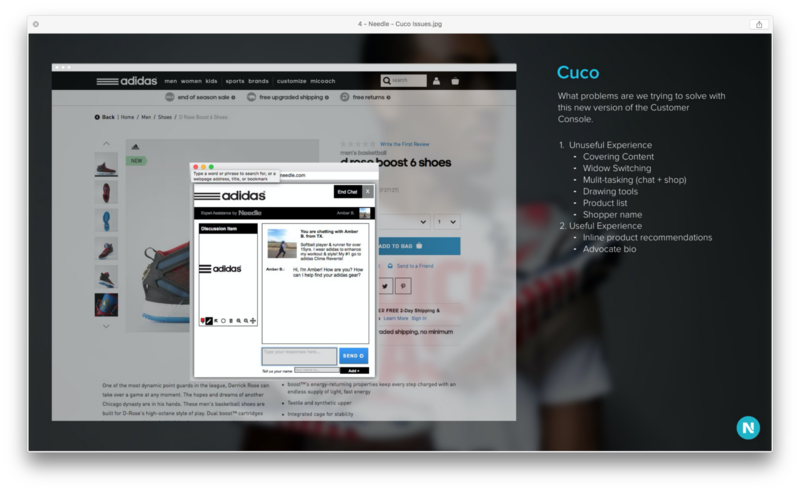 The new conversations console will be a widgets focused solution. 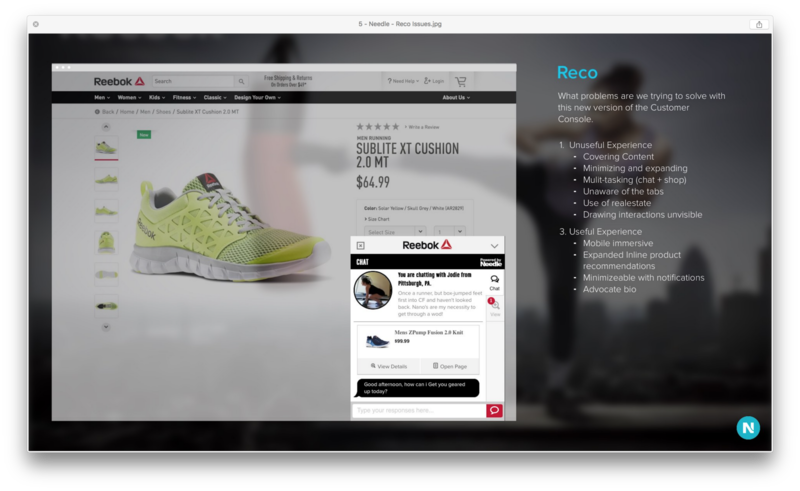 One of the largest benefits of our console over others is the ability to have inline product information in context within the conversation that ties directly to an online store catalog. Widgets inline also allow us to add additional tools in a scalable way without introducing added complex user navigation and organization. 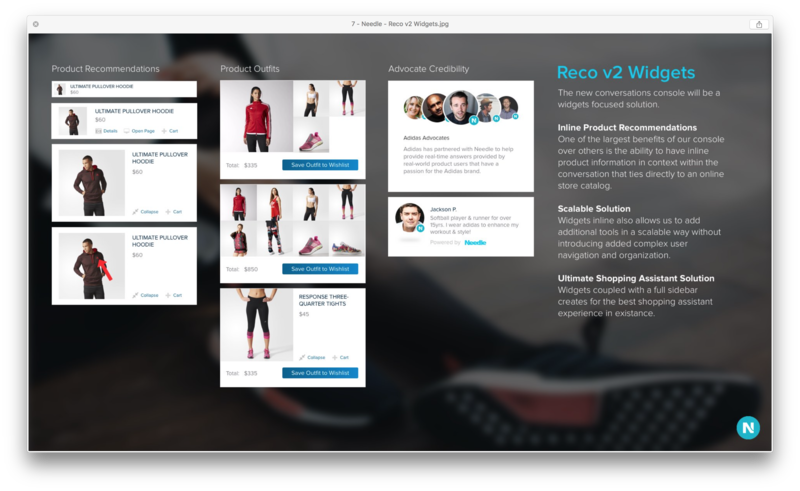 Widgets coupled with a full sidebar creates for the best shopping assistant eperience in existance. Shoppers quickly judge who their talking with and decide whether its advice they should really listen to, first impressions matter. We put this front and center. Quickly understanding that these are third party verified product experts adds value and credibility to the advocate. 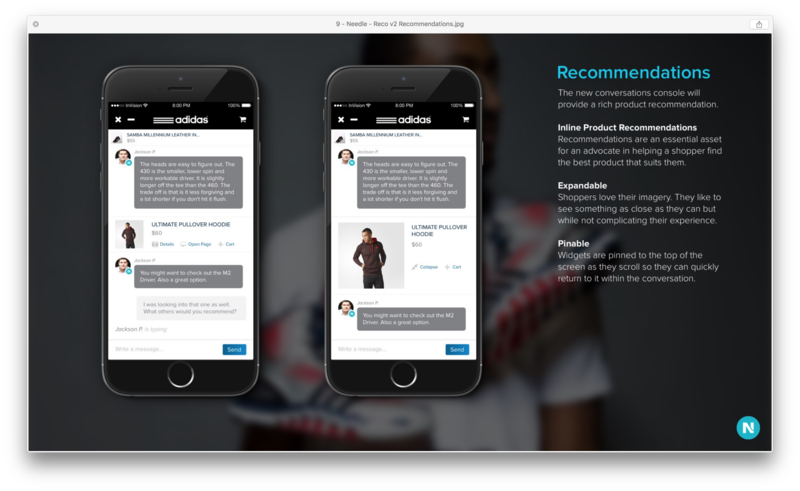 Recommendations are an essential asset for an advocate in helping a shopper find the best product that suits them. Shoppers love their imagery. They like to see something as close as they can but while not complicating their experience. Widgets are pinned to the top of the screen as they scroll so they can quickly return to it within the coversation. 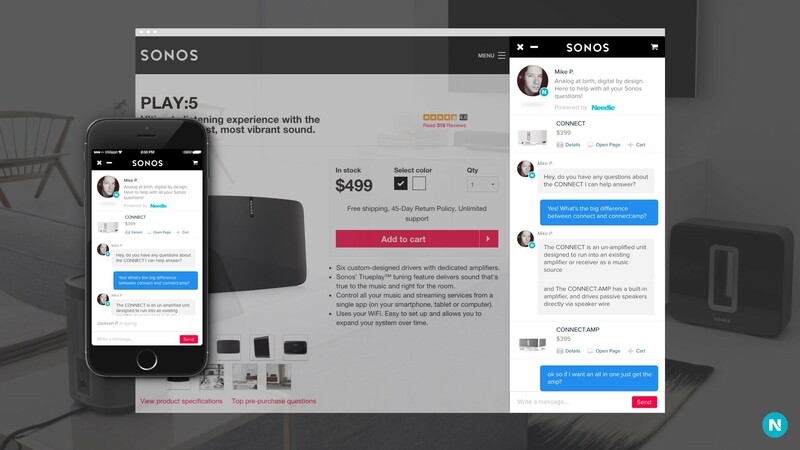 The new conversations console willl provide a way to recommend a group of products for stores that need bundles. When adding a set of product they will be grouped together and the layout of the collection with adapt to the quantity. Easy Access to adding product to their wishlist so that the shopper can proceed to checkout with all the products as quickily as possible. Shoppers really want to know who they’re speaking with and they have the most relevant experience that they can help them. The most progressive clients loved this solution becuase they have a responsive website.